My little sister has a good sense of humor. She bought me this a few years back for my birthday. It was good advice then and it is good advice now. 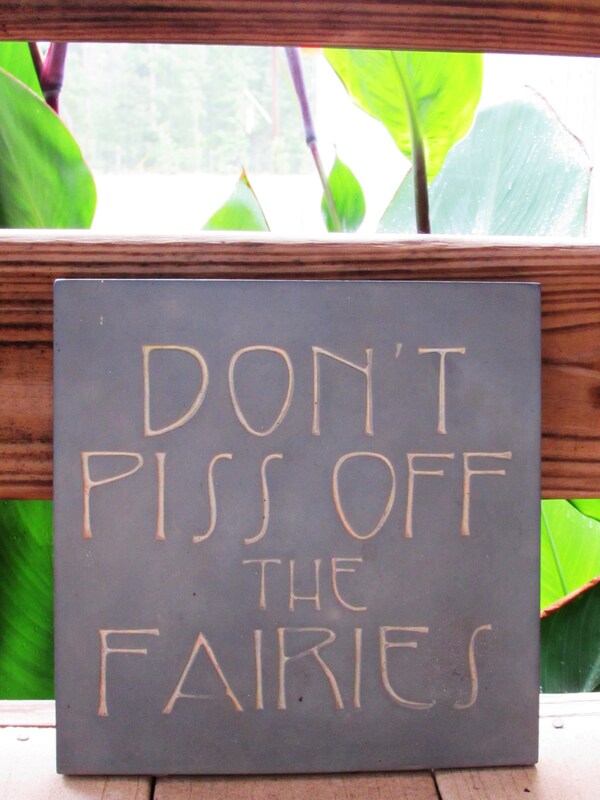 Because you never know about those fairies lurking in the flower garden. Thanks Rita, I love ya’! We have a sign that says, “Beyond this place, there be dragons” above our entryway. I think I need to find one like yours for the gate to the garden. Yes but it can only be read in a British accent: Dewn’t piss owhf tha fahries….